Mike Hardcastle has, over several years, undertaken a project to photograph and Index all the Head Stones in Edgerton Cemetery. Indexes of this work and images of the Inscriptions are available at the Root Cellar in Meltham and via enquiries to the Society Research Team. The plots at Edgerton Cemetery are numbered from West to East while the rows run from North to South. Not only that but they are numbered from Right to Left. 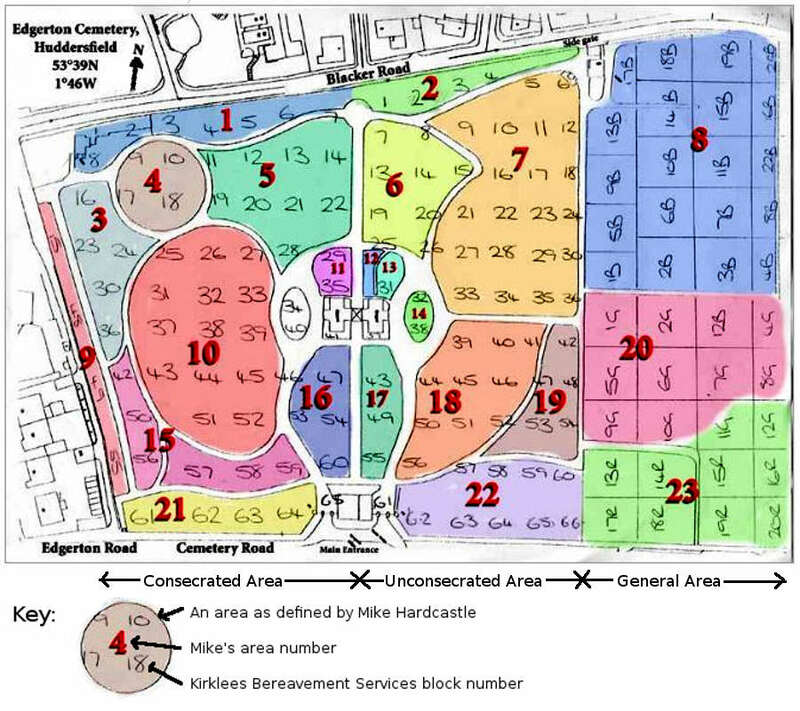 Each block of, mainly, 22 by 9 plots (area 4 is an exception) is numbered from the top left. 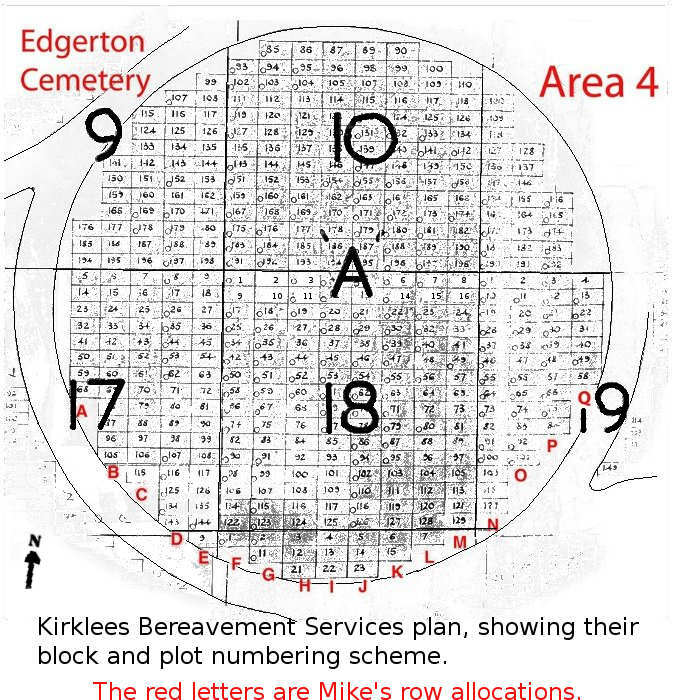 So if you are looking for a Grave and walking along the line of graves you usually have to subtract 9 for each plot if you approach from the left or add 9 if you approach from the right, allowing about three feet for each unmarked grave. Confused, most people are! There are 65 blocks in the consecrated area and another 65 blocks in the General or Unconsecrated Area. The Consecrated and the General areas are both, can you believe it, numbered 1 to 65. You can spend ages in the wrong part of the cemetery! And then there is the Extension where the blocks have letters as well. The Consecrated areas are numbered 1B to 20B. The General areas are numbered13R to 20R and 1G to 20G!